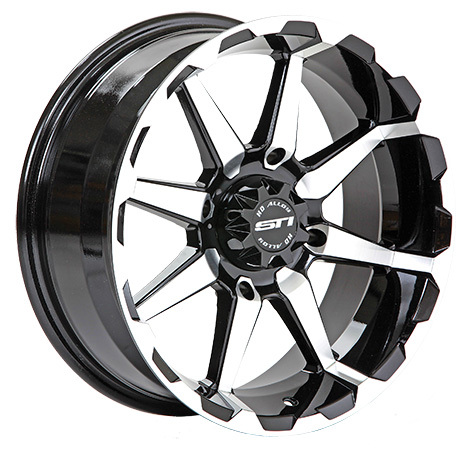 STI has created a stunning new style with its newest HD Alloy wheel, introducing the STI HD6. The machined spokes are accented by a gloss finish, and is protected by a full layer of clear coat. Available for most popular ATV and UTV applications with a 12", 14" and 17" diameter version. 14x9 rear wheels are typically used for sand applications or with wide rear tires.